BMW assigns a variety of part numbers to define TPMS sensors, which are determined by the production month and date of your vehicle (This is not to be confused with the Model Year of the vehicle, often represented as "MY2014" for example). 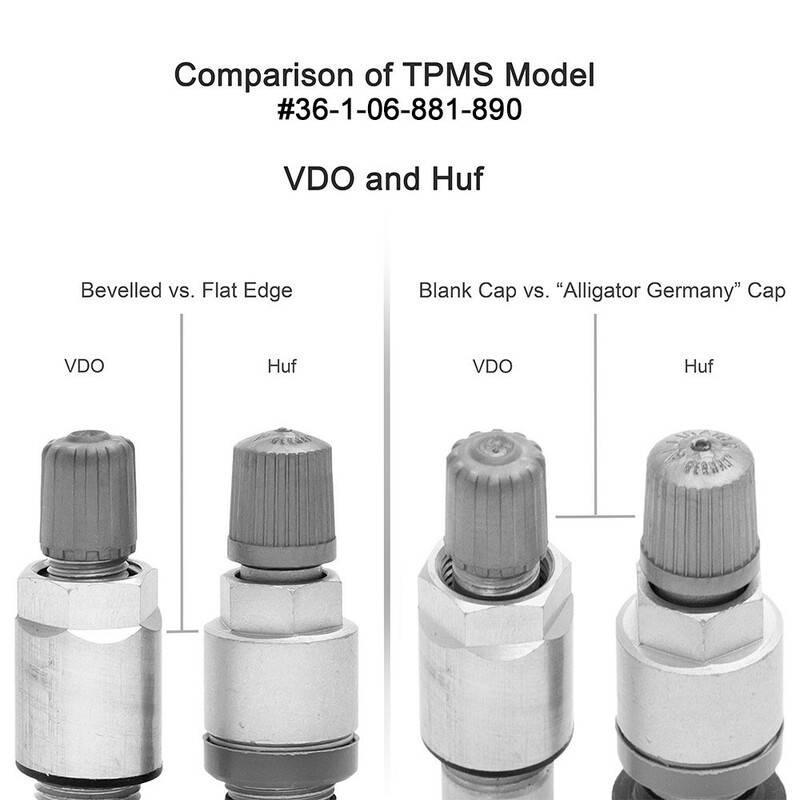 Please use the application chart below to help determine which TPMS sensor is correct for your specific vehicle. BMW is constantly updating these part numbers, and due to the sensitive nature of this part, we ask that all customers double check part number accuracy with their local BMW parts department prior to placing an order. Note: Sensors are preprogrammed to work with your vehicle, however, you will need to initialize (synchronize) them to your vehicle per the process outlined in your owners manual. 36-11-8-378-682 RDE-002 Use RDE-002 for 433 MHz sensors. BMW uses two different suppliers, HUF & VDO, for this BMW part number which are not compatible with one another. All four sensors must be the same brand.